Hey lovelies! 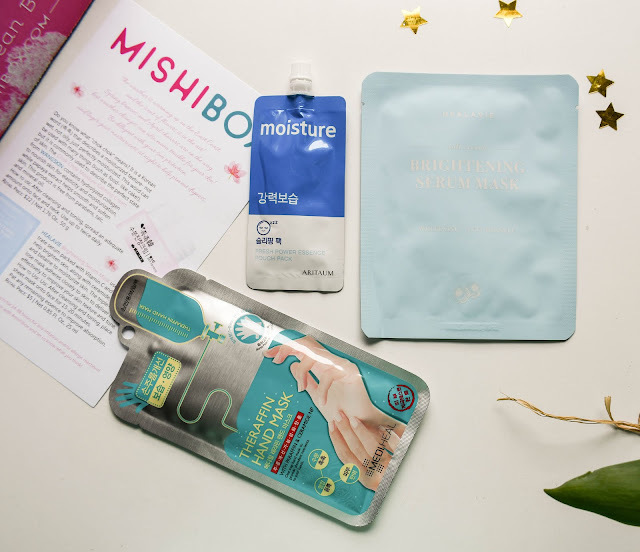 It's time for another Mishibox review! Today, I'm back with my thoughts on the April box that landed on my doorstep about a week ago! MSHIBOX is a monthly beauty subscription box that delivers hand-picked, top-quality Korean beauty products straight to your door! Every (adorable) box comes with a combination of 4-6 sample-size and full-size products. It can be anything from skincare to makeup and all the amazing things in-between. The cost of this monthly subscription box is simply unbeatable - $19.95!!! And, amazingly, you can choose to subscribe for the entire year (and save $12), or buy one box at a time. And they now offer FREE world wide shipping. I would highly recommend giving this awesome subscription box a try. 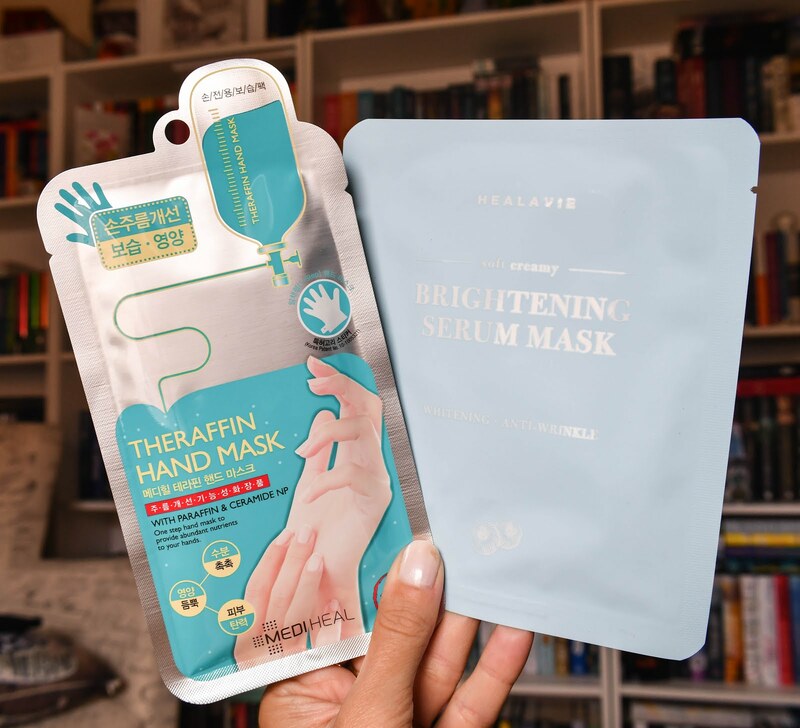 The products you get are pretty high-end and very popular in Asia, plus you won't be able to get some of them anywhere else in the USA or Canada. 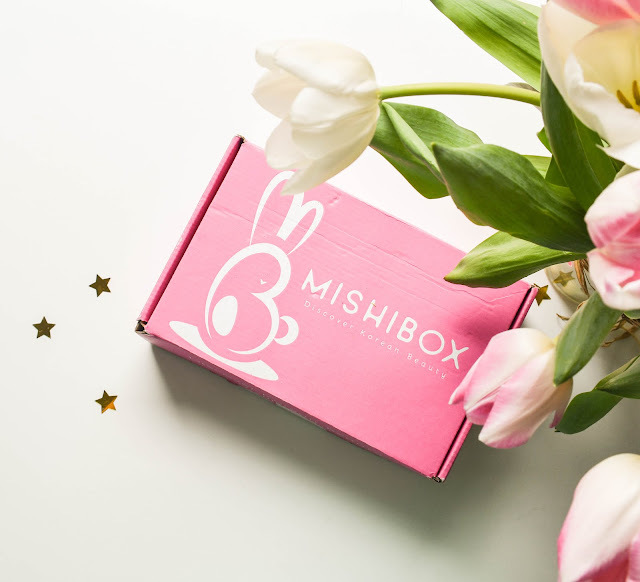 MISHIBOX folks also opened up an online store where you can buy any of the products previously included in the box. 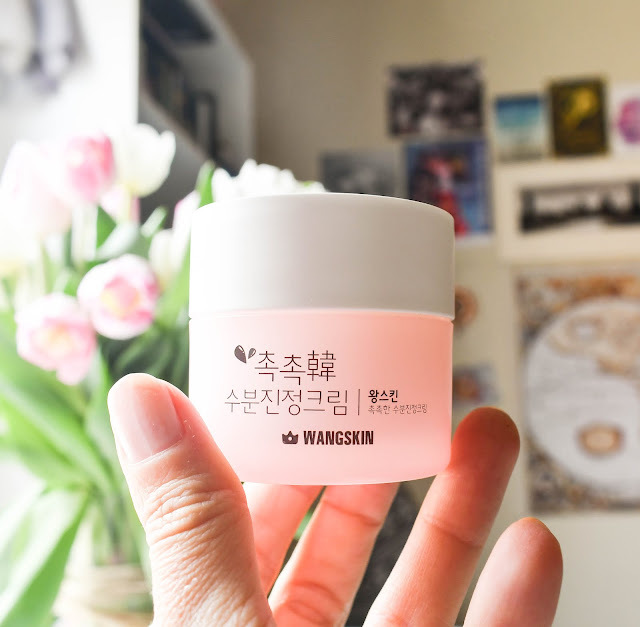 Personally, I love that option, as I love one of the products included in the past boxes (The Ceramizing Cream from Skin Watchers) and was super happy that I was able to order a second batch of it! My thoughts: Oh guys, I love it! It's so moisturizing and feels amazing on my skin. I've been using it the past week and so far only good things to report - no greasiness, no break outs. I'm probably going to order more when I'm done with this jar! My thoughts: Well, I'm not too sure if I will be using this mask, to be honest. I've been told by someone who lives in Korea, than to Koreans brightening means pretty much bleaching. And now I'm scared hahah o_o I did check the ingredients on the Mishibox website, and don't see anything harmful, so maybe one day! My thoughts: This is something new to me. 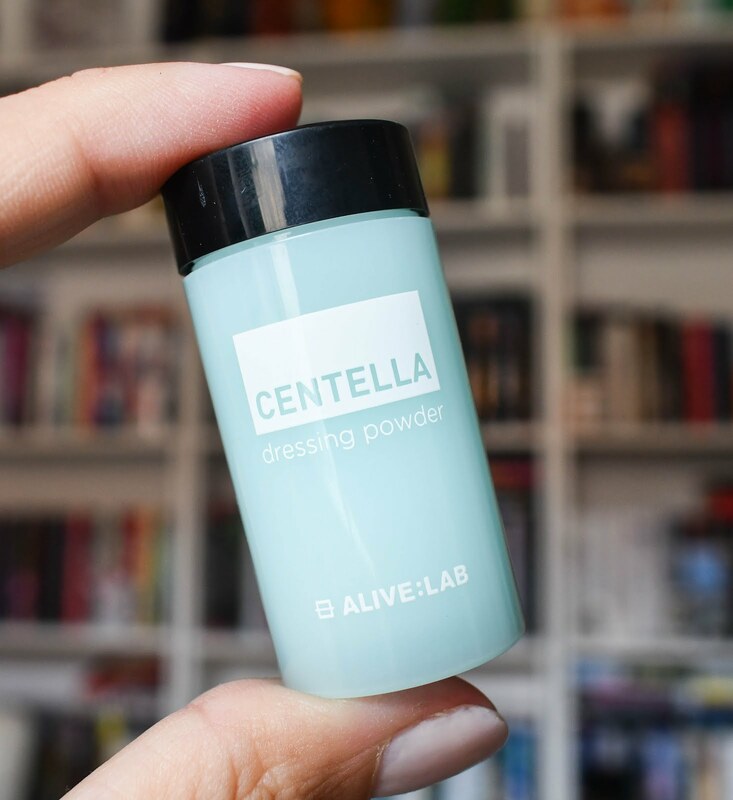 "The Centella Dressing Powder is a versatile powder that helps calm troubled skin using the natural powers of the centella asiatica plant. It is a light powder that can be dabbed directly onto pimples, or mixed with many different products to use as desired!" I'm going to have to try it out when I get a breakout and see if it really works! My thoughts: This is essentially a moisturizing therapy for your hands. Ingredients such as paraffin, shea butter, and ceramide deeply condition and moisturize your hands, while niacinamide and lemon extract help brighten skin damaged by UV rays. My thoughts: I got the MOISTURE pack and got to try it out last night. There's enough product for 2-3 uses for sure, and it's a really nice sleeping mask. I applied a somewhat thick layer to my face (after cleansing) right before going to bed. I woke up and my face felt like there was this moist film on it. I washed it off and my skin felt really soft and fresh. Definitely going to be using it again!